People with advanced dementia, which includes symptoms like progressive memory loss, may lack the social filters that prevent most of us from expressing what we think out of politeness. 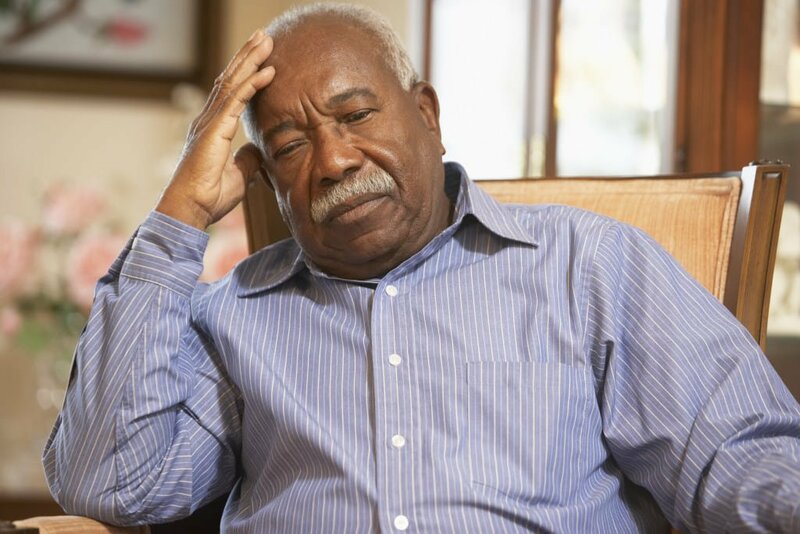 Dementia is a group of symptoms that can occur due to a variety of possible underlying medical conditions and, besides memory loss, may result in a number of other symptoms such as impairments in reasoning, communication, and focus. This was noted by Corlia Schutte, an occupational therapist who works with residents at Livewell Villages in Bryanston, Johannesburg, which places a focus on providing the highest levels of care to people with dementia. She points out that many people with advanced dementia become less inhibited, lose a sense of social norms and may consequently express themselves rather more candidly than is generally considered acceptable. “There is certainly no intention to be hurtful to others, this is just one of the effects that can be associated with more advanced dementia and cognitive decline. Nevertheless, this kind of behaviour may be challenging to families who care for people with dementia and Alzheimer’s within the home environment,” adds Schutte. She says that the experienced and trained staff at Livewell Villages, a pioneer in dementia care in South Africa with care facilities in Bryanston and Somerset West in Cape Town, understand and have learned not to take offence at some of their residents’ eccentricities or idiosyncrasies, and often very forthright observations. These can, however, sometimes be hurtful for family members and caregivers who are looking after people with dementia, and who may not understand the changes that are occurring in their loved one. “It can be easy for anyone who is taking care of a person with dementia to forget that their loved one is suffering from memory loss and other cognitive problems, and assume that they are just being difficult. After all it can be extremely challenging to come to terms with the fact that their parent or grandparent may now be saying hurtful things that they would never have said before the onset of dementia. Schutte says that if a loved one with advanced dementia starts to behave inappropriately or say insensitive things, it can be useful to try to establish what may be causing the behaviour. It may, for example, be that something within their environment, such as loud music; a noisy, busy environment; hunger; tiredness; or even a need for the toilet may be causing the reaction. It may even be that the person is in pain or is experiencing some form of discomfort. By understanding the reasons for the behaviour, it can be meaningfully addressed. “Also remember that if you are going on an excursion, or taking a few days holiday, that while you and the family may be excited about it, the person with dementia can easily become bewildered and anxious when they are out of their routine and familiar environment,” she advises. According to Schutte, it can also be helpful to honestly explain the causes of any unusual behaviour in their loved one to other family members, particularly younger ones, so that they can understand it and be better equipped to deal with it. Beatrice Masiiwa, office supervisor: administration at the Livewell Village in Bryanston says that before joining Livewell Villages, she worked in the hospitality industry and didn’t know much about dementia at first. “However, we all receive on the job training and have ongoing formal monthly training sessions. It was challenging at first, but with some experience I got to know the particular requirements of our residents,” she adds. Beatrice and a resident, Mrs L, share a passion for fashion. Mrs L is extremely, some might say ‘brutally’, honest, according to Masiiwa. “If she doesn’t like your new hairstyle, she will tell you so in no uncertain terms. I find this a refreshing change, however, because most people will be less honest out of politeness, but when Mrs L says she likes something you can be sure that she sincerely approves,” she explains. Schutte says that loneliness and boredom are common problems affecting elderly people in society, and the sense of isolation this creates is often strongly associated with depression. “This is why we place particular importance on ensuring that at Livewell, every resident has company, whether they are spontaneously drawn to participate, or whether they prefer spending time with their companions and carers. Leaders in dementia care in South Africa, Livewell Villages in Bryanston and Somerset West host free monthly support groups where people can get advice and assistance from its teams, as well as obtain the support of others who are facing similar challenges. Those who may in some or other way be impacted by the condition are invited to join them at one of these sessions. “Caring for a loved one with dementia or Alzheimer’s can be immensely trying but also most rewarding. It can help if you can try to keep in mind that their memory loss is not their fault and try to understand their experience. If you can do this, it can assist you to be more patient with them and treat them with the compassion they need. By showing your care and love for them, you are able to make them feel safer,” concludes Schutte.